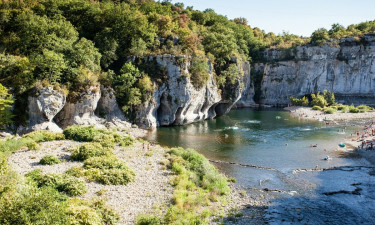 This unique luxury camping site is found within a southern portion of France known as Ardèche. 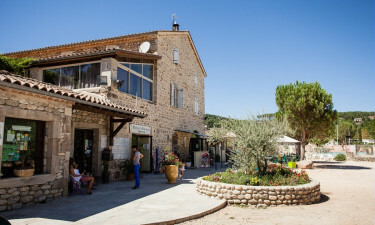 Its quaint atmosphere and proximity to natural splendour enables La Nouzarede to offer an ideal camping holiday for any family. To learn more in regards to reservations or pricing, please speak with a representative from LUX-camp. Why Should I Select this Holiday Camping Site? A choice of modern mobile homes. Families are allowed to bring dogs. On-site and nearby leisure activities. Like many holiday camping sites within France, La Nouzarede offers its patrons all of the modern amenities to be expected. The overall sense of camping luxury is enhanced with features such as baby changing rooms, wireless Internet, 8 separate (and private) washing cubicles and a washing machine. Those who are considering arriving with their children should note that a playground as well as entertainment are both offered. This luxury camping opportunity enables everyone to fully enjoy their holiday thanks to a host of on-site and nearby activities. Visitors can participate in a fun game of table tennis or volleyball within the confines of this holiday camping site. An open-air pool is great for taking a cool dip during hot summer days. Other activities including bicycle hire, horseback riding and fishing are found only moments away from La Nouzarede. Please note that a nearby lake is perfect for a family that hopes to take a day trip and see the sights that nature has to offer. The Rhone-Alpes region of France is known for its rather varied climate. The mountains offer cooler and drier days during the summer while prairies and valleys are excellent for those who hope to enjoy a bit more sun. The nights here are generally quite pleasant and during the peak tourist season, inclement weather is rather uncommon. Luxury camping and great food should always enjoy a hand-in-hand relationship. Guests here are therefore able to experience a fresh meal thanks to a restaurant found moments away from their mobile home. Regional dishes are served while Mediterranean and international cuisine are both options. There is a children's menu and some items can be taken away to be enjoyed with the privacy of one's family. An open-air terrace provides spectacular views of the park and a bar within the restaurant is capable of quenching even the most ravenous of thirsts. Visitors will not have to travel far to obtain basic necessities such as food and camping provisions. While this supermarket is impressive, it should be noted that a large bazaar is open every Thursday. Hand-made items and souvenirs abound; ideal for anyone looking to pick up a gift for a friend or a loved one. These are only a handful of the benefits offered by this luxury camping site. More details can be found by visiting the online portal at LUX-camp.